All word lists were generated from a huge multi-billion sample of language called a corpus which ensures all topics and text types are covered and the word list reflects how words are used by real users. The word lists include the most frequently used words, most frequently used nouns, verbs, adjectives and prepositions and some additional word lists. How are different forms of the same word counted? All wordlists are lemmatized (=different forms of the same words are counted together, i.e. goes, went, gone, going and go are counted together and listed as go). This is generally more practical. However, sometimes non-lemmatized word lists listing each word form separately are needed. Sketch Engine can generate both types of word lists. A word list of 500 most frequent words in French. 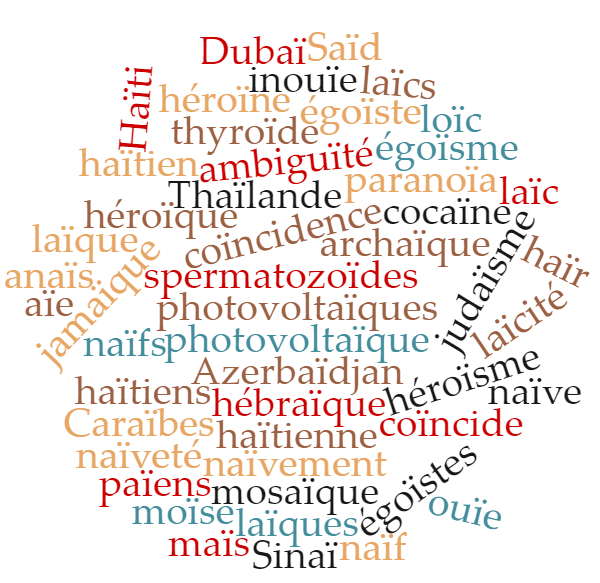 Top 200 French nouns – a lemmatized frequency word list. A word list of top 200 French adjectives by frequency. A lemmatized word list of 200 most frequent verbs in French. I want longer word lists! Longer French word lists can be generated with Sketch Engine. There is no limit for word lists generated from user corpora, however, there is a limit of 1,000 items for word lists generated from preloaded corpora. The user can produce any number of word lists. Advanced filtering criteria using regex can be applied so that the word list contains exactly what the user needs. Register for a free trial account with Sketch Engine to generate longer word lists in French. Unlimited word lists from preloaded corpora, e.g. a list of all words in French, can be generated from our multi-billion word Italian corpus.